1 Set 12-Color 3D Round Acrylic Crystal Nail Art Rhinestones In Wheel Studs Glitter Decoration DIY Manicure Nails Tools Tips Kits Beauty Popular Xmas Christmas Winter Snow Holiday Tool Kit by GrandSao at Ms Deane. MPN: unknown. Hurry! Limited time offer. Offer valid only while supplies last. 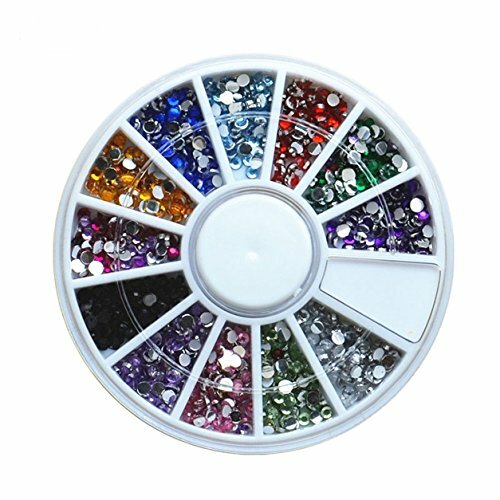 Beauty 12 color 3d round acrylic studs glitter rhinestone crystal wheel diy nail art decoration phone manicure tips tool jewelry beautyFeature1. 1. Suitable to use on top of nail polish, uv builder gel, acrylic, etc. 2. Suitable for professional or home use. BEAUTY NAIL ART DECORATIONS - Suitable to use on top of nail polish, uv builder gel, acrylic, etc. ACRYLIC STUDS GLITTER DIFFERENT PATTERNS - Suitable for professional or home use. View More In Decoration Kits. If you have any questions about this product by GrandSao, contact us by completing and submitting the form below. If you are looking for a specif part number, please include it with your message.